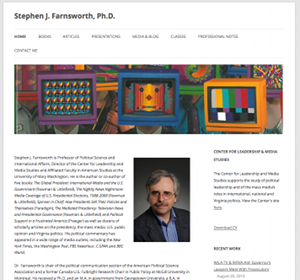 Stephen J. Farnsworth is professor of Political Science here at UMW, as well as in impressively prolific scholar, pundit, and presenter. He’s constantly being interviewed by news outlets in the DC area on a range of political matters, and as we were working on his personal portfolio site as part of the Domain of One’s Own faculty initiative I started to wonder how we could start syndicating all this stuff in. We quickly discovered that most major news agencies, both locally and abroad, don’t have an easy and consistent mechanism to syndicate specific works he has been a part from their sites. The only clean feed we could get from any of these various news agencies was C-SPAN—bully for the public sphere! C-SPAN has a recent appearances page for people who were part of their broadcast, and that page has a clean feed that we can pull right into his portfolio via FeedWordPress, but that’s the only one we could find. What a shame, I can’t imagine it hasn’t occurred to The Washington Post, the Richmond Dispatch and just about every local TV and radio station that they need a lightweight taxonomy based on tags or categoroes to organize when a guest has been quoted, interviewed, etc. so that it can be more broadly shared by these people who are contributing to the value of their infromation? This seems to be a larger example of how technical and information literacy is so crucial, and why syndication is still so freaking important as a mechanism to a simple tool for structuring and seamlessly sharing content within and beyond an organization. Which, in turn, is why I’ve been pushing for UMW to get more savvy when it comes to syndicating content. For example, Stephen Farnsworth has been submitting the professional work he has been doing to EagleEye, UMW’s Faculty and Staff Weekly Newletter on a regular basis over the last two years. He has over eighty entries in the newsletter, and thanks to an agreed upon tag for all faculty and staff we can pull a feed with all his professional notes directly from EagleEye right into his portfolio page. The feed he is syndicating from is http://eagleeye.umw.edu/tag/sfarnswo/feed and what’s nice is now he shouldn’t have to reproduce effort. Whatever is entered into EagleEye will automatically syndicate into the professional notes section of his portfolio. Even cooler, we could work this the other way around and have EagleEye pull a tagged feed from every interested faculty and staff member’s personal website as a way to seamlessly syndicate and aggregate their professional notes from their own online space. 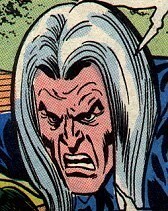 For example, I could use the tag EagleEye on this blog to send any posts about my own professional work to EagleEye. This not only encourages faculty and staff to share the work they’re doing, which is already a reality thanks in part to EagleEye. But it also enables them to do it on their own space that can seamlessly broadcast to the entire UMW community. Add to that the fact we can now provide them with their own domain and web hosting, and you have the perfect storm for this stuff taking root. This entry was posted in Domain of One's Own, publishing, rss, tags, umw, umw.edu and tagged Domian of One's Own, eagleeye, portfolio, rss, Stephen Farnsworth, syndication. Bookmark the permalink.